Classic Pimento Cheese | Mary Duke Cooks! Growing up pimento cheese was always in the refrigerator. It was considered a comfort food in my family. Several years ago my mother had been suffering with tummy trouble so I made her some pimento cheese for lunch. She called me several hours later and said she was on her way to the emergency room. After several tests were run the Doctor said she needed to have her gallbladder removed. My pimento cheese had finally put her over the edge! So at my house we refer to this pimento cheese as “Hospital Pimento Cheese”! because it landed my mother in the hospital. Don’t worry, mom’s O.K. After surgery mom wouldn’t eat pimento cheese for a while but now she’s back on a steady diet of it! Grate cheddar cheese. In the bowl of a food processor fitted with a metal blade add cheese, mayonnaise, vinegar, pimentos, mustard, salt and pepper. Pulse just until combined. Taste and adjust spices. 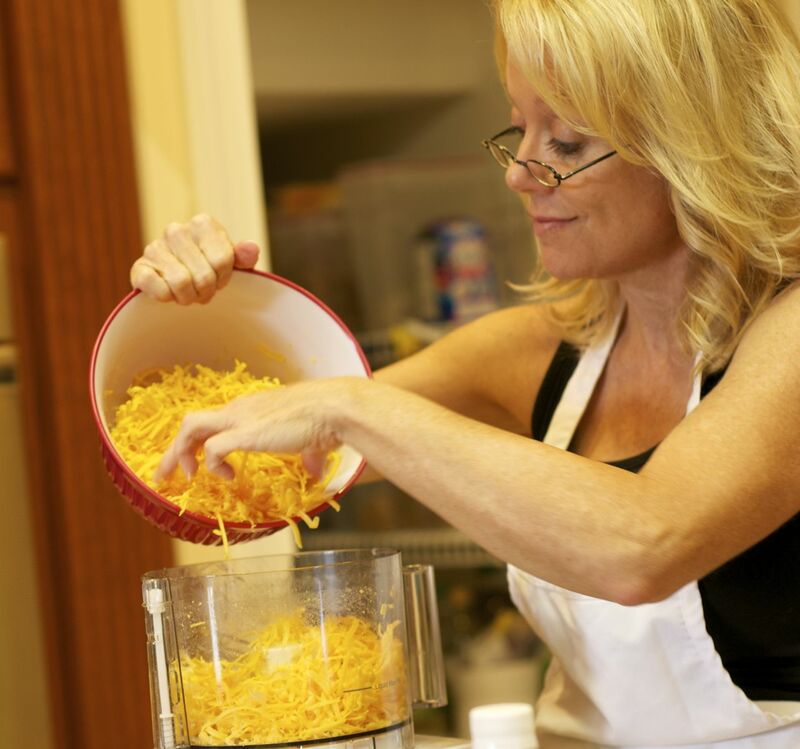 Tip:Try not to over-process the pimento cheese or you will have a cheese smoothie! Serve as an appetizer with celery sticks and assorted crackers. Options: For a spicy kick, use drained Rotel tomatoes in place of pimento, or add diced jalapeno pepper or cayenne pepper. You can also heat the pimento cheese in the microwave until it melts to make a dip. Is there something you can use in place of the mayo? I am not a big mayo person, but the recipe looks great and I would like to try it. I think people either love or hate Mayonnaise! You could try cream cheese thinned with milk or Bobbie Dean has a recipe using Greek Yogurt. Please let me know how it turns out!